Philly knows how to rumble. 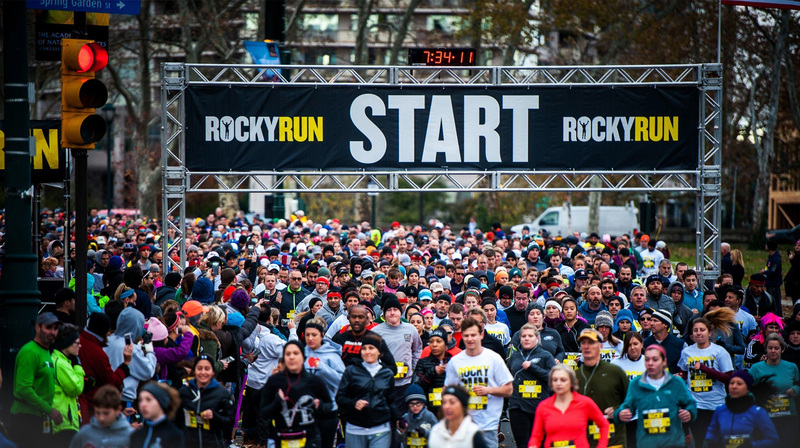 For five years and counting, fans have gone the distance to do right by Rocky’s legend. Early to rise, they line up in-character as worthy opponents of the Philly streets. Starting beside the Philadelphia Museum of Art where the stairs need no introduction, the bell sounds and the faithful step into the day’s ring: A riverside course through the City of Brotherly Love. 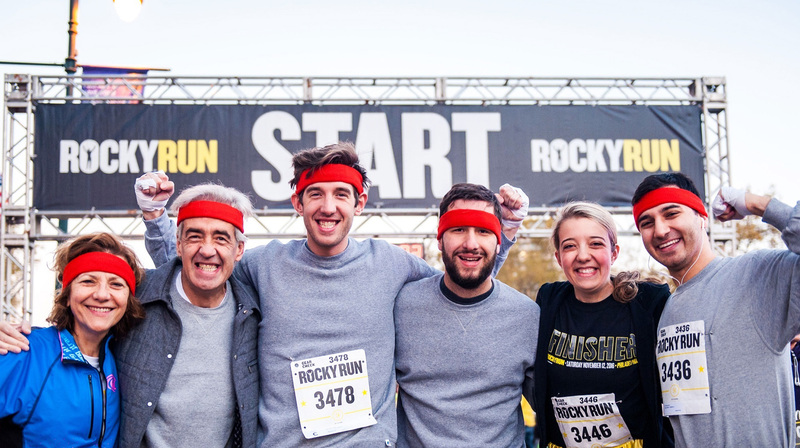 In 2016, we shook the Rocky Run course with a combo: The 13.1 Italian Stallion Challenge. Participants can choose between the 5K, 10 Mile, or, take on the Challenge and defeat both, locking 13.1 miles under their belt. 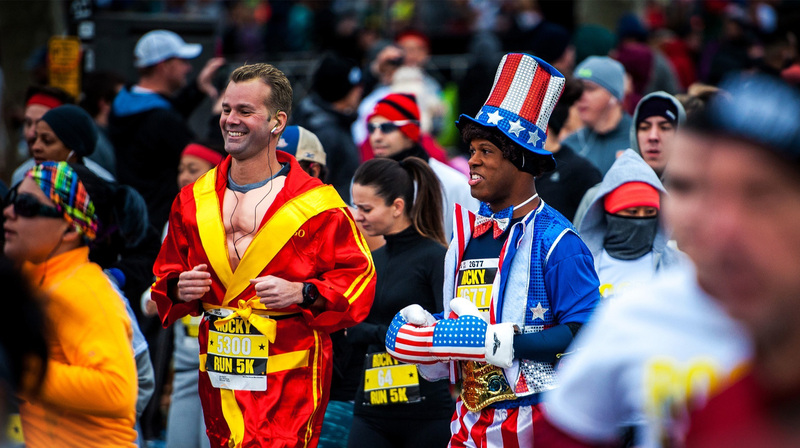 In 2018, race participation grew to 13,416 runners, with 40% of all participants choosing to take The Challenge. Every finisher earns a medal, and every medal deserves a spot in the trophy case. The incredibly detailed designs pay tribute to Rocky’s championship belt and robe. For Italian Stallion Challenge finishers, victory is triple sweet: They’re decorated with three hard-earned rewards – finisher medals for the 5K, 10 Mile & 13.1 Italian Stallion Challenge. In 2019, we’re anticipating half of all participants to take on the Stallion, the only race event of its kind. 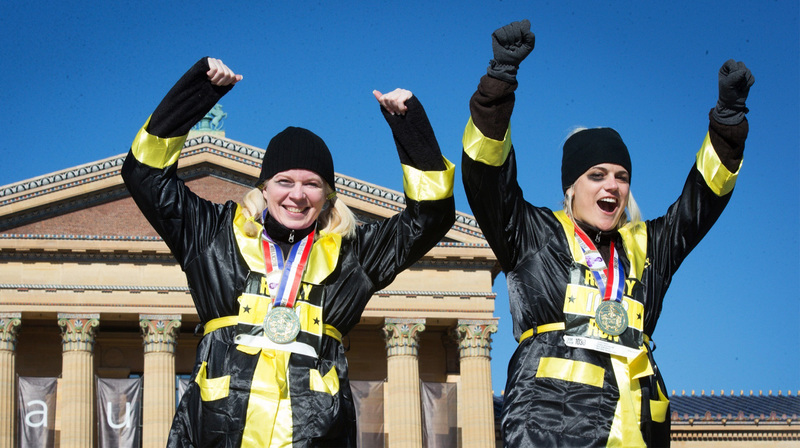 individually fundraise for Special Olympics Pennsylvania and its 6,800+ superstar athletes. Around every turn, through every hit song filling the air and fueling spirits along the way, dollars are being raised to help other athletes train, compete, and celebrate their accomplishments. To us, there’s no better victory than that. We hope 2019 – and every year to come – is our largest tribute and biggest donation yet. 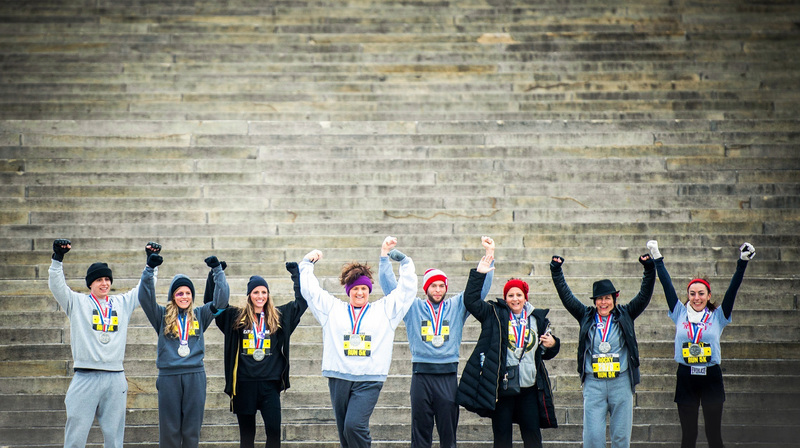 From the music to the amazing medals – Run Mfg knows how winning is done.